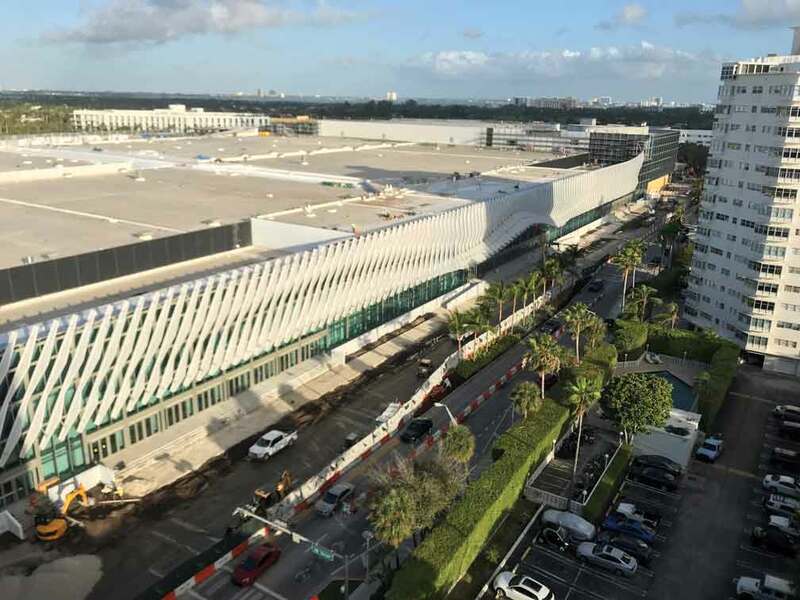 After being under construction for 26 months, the Miami Beach Convention Center is to be completely re-opened in six months, with a partial opening in mid-March. The construction in total cost $620 million and was part of a restoration and expansion project for the entire facility. The new convention center will be 1.4 million square feet and will include a new 60,000-square-foot grand ballroom, meeting rooms, a 20,000-square-foot glass rooftop ballroom and new indoor and outdoor spaces. Since the Miami Beach Convention Center has been only partially open throughout the past 26 months, Mrs. Hernandez said there was a drop in business. In terms of shows that have taken place, the building normally has large-scale shows around the clock, but due to the construction the amount did decrease. In 2016 there were 25 events, in 2017 there were eight and in 2018 there will be 13. “We haven’t had the building completely booked for two years due to the construction, but we have had events take place,” she said. Between March and the summer months, six shows are to take place in half the building. The building will then open for its first large-scale show Sept. 23, which will be the American Health Information Management Association’s (AHIMA) annual convention.